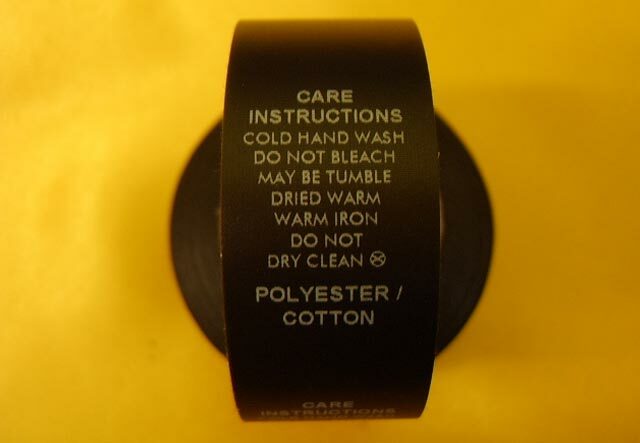 Mpressive Label Creations has a wide range of materials and foil colours readily available to produce custom made printed labels that will make your garments really stand out on the shelf. Using only the highest quality materials and techniques, our personalised labels are created to your exact needs for a premium finish. 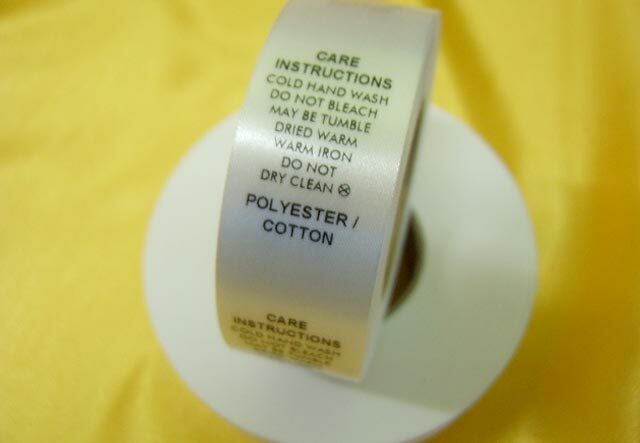 Our standard label size is 25mm wide x 50mm long (no logos). 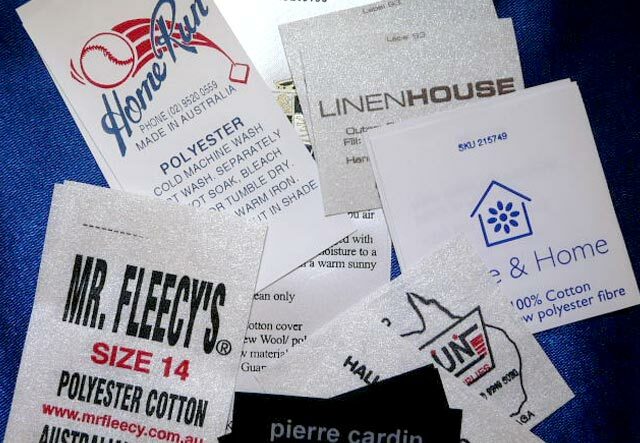 With a wide range of sizes and finishes to choose from, we’re confident our custom clothing labels are second to none. 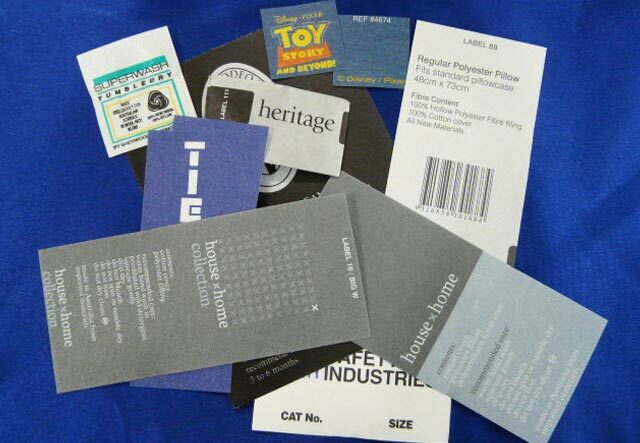 Offering label printing in Melbourne that is not only of a higher quality than any overseas competitors, they are also cheaper and quicker too! 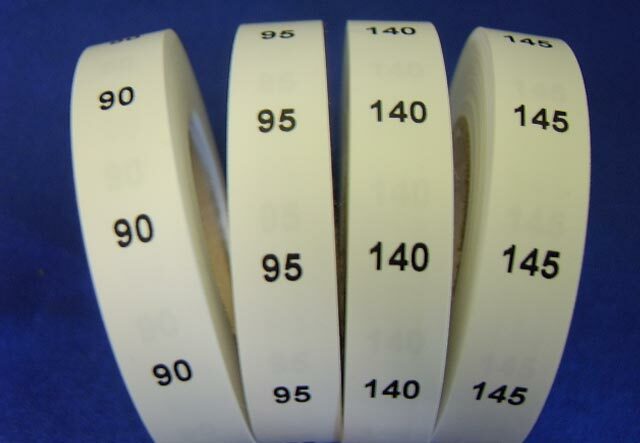 Browse through our label printing sizing options and materials below – including our exclusive Pearl Soft Touch – and work with us to achieve the professional look and design that your business needs! We have a material to suit whatever your needs are, from a basic low cost Matt Fasco to our very own Pearl Soft Touch (which has been designed and produced to our specifications and is only available from us). 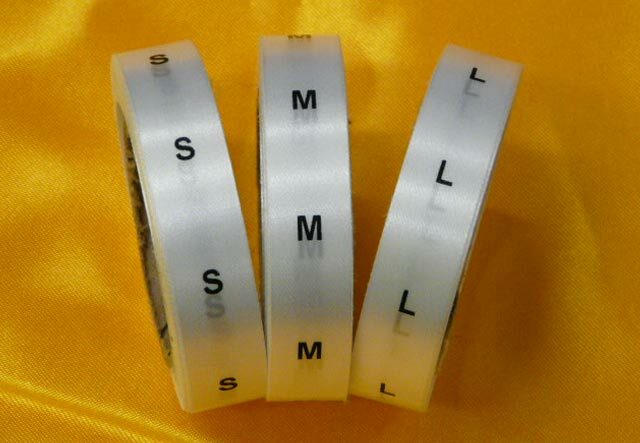 We carry all sizes of Matt Fasco, Satin Fasco, Matt Nylon, Pearl Nylon, Black Nylon, Red Polyester Cotton, Matt Soft Touch, Pearl Soft Touch and Satin Soft Touch. They can all be printed in over 20 colours. 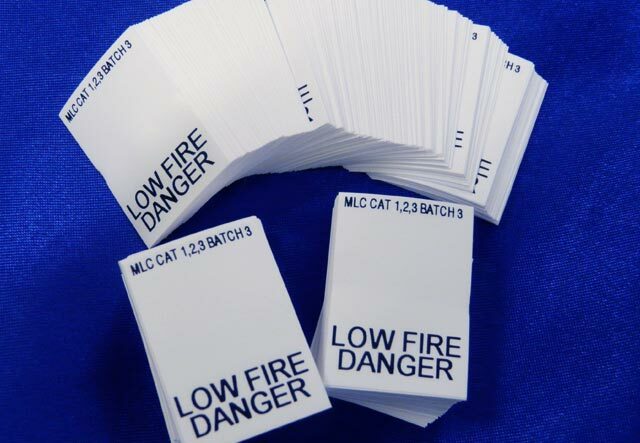 We use a range of methods for printing labels in Melbourne, including: Hot Foil, Thermal Transfer, Offset and Rotary Wet Ink Printing. 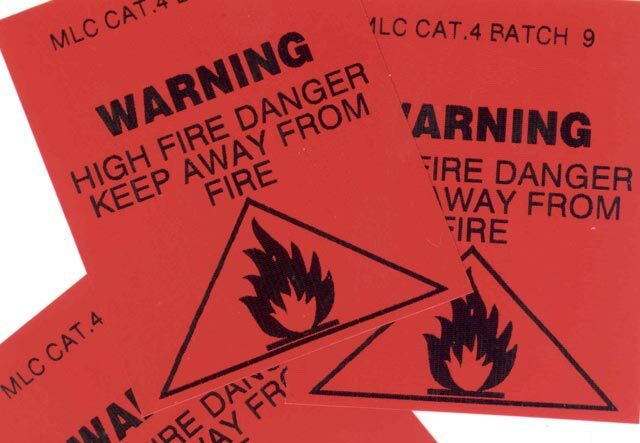 We can also produce labels using either one single colour or a full photographic colour range. 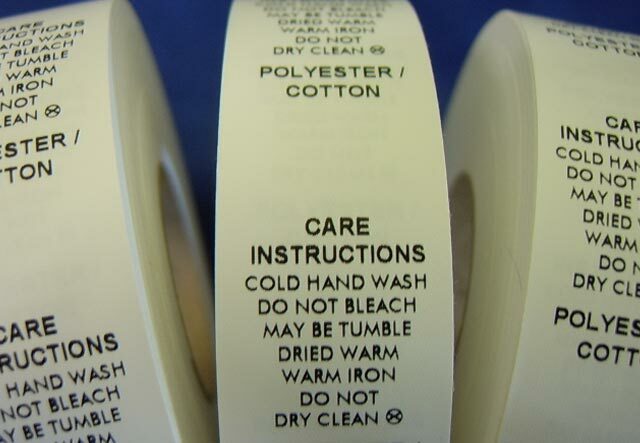 We produce content and care instruction clothing labels in Melbourne (usually on the same day). 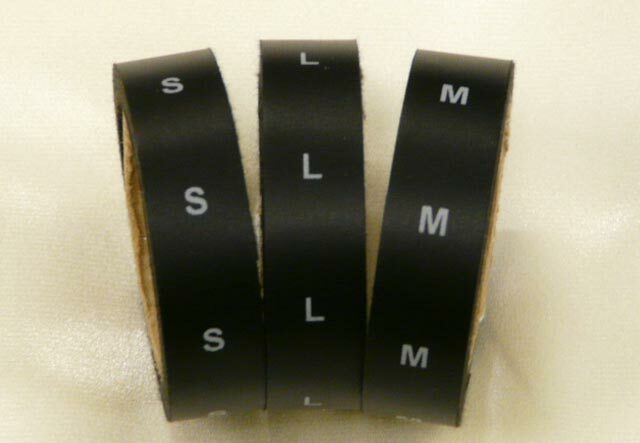 These labels are printed on Matt Soft Touch material in black print. They can be picked up or delivered* to your door for $25.50 plus GST. For a no obligation quote simply email us your design. Not sure what you want? No problem, ask away. 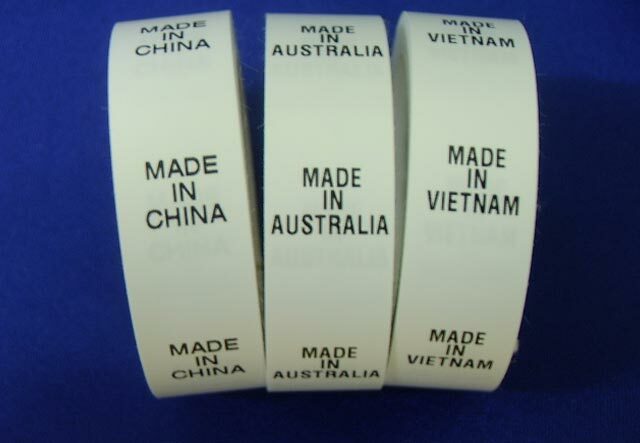 We are here to make sure you're happy with your personalised labels in Melbourne.